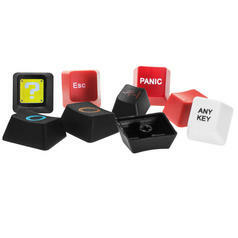 These key caps will transform your keyboard into the ultimate Das Keyboard! Compatible with the "Das Keyboard 5Q" and the "Das Keyboard X50Q"
You want to transform your Das Keyboard 5Q or Das Keyboard X50Q into the ultimate customized typing machine? No problem! The "Das Keyboard" Key Caps for Mechanical Keyboards lets you replace the standard key caps with a design of your choice! 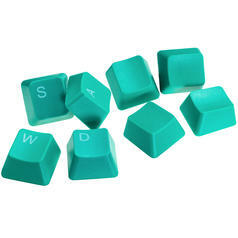 Each set contains a full batch of key caps and a key puller that allows you to swap key caps quickly and with ease. The Professional Font RGB Key Caps allow you to bring the standard font of the Das Keyboard 5Q onto your X50Q! 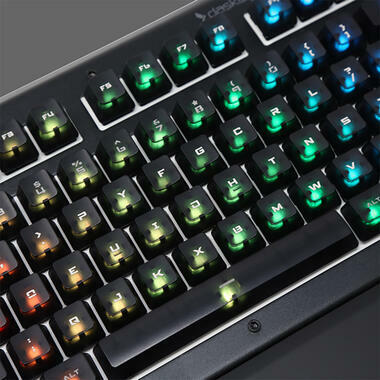 The lasered black key caps in the US layout feature transparent labelling that lets the RGB lights of the keyboard shine through. The Modern Font RGB Key Caps for Mac will transform the 5Q and X50Q into a Mac-lover's dream in no time! Absolute professionals will want to grab the Transparent Blank RGB Key Caps. These key caps allow your US layout RGB lighting to shine through unhindered. The Modern Font Transparent RGB Key Caps also allow you to marvel at your keyboard's lighting, but still offer laser-engraved key labels. 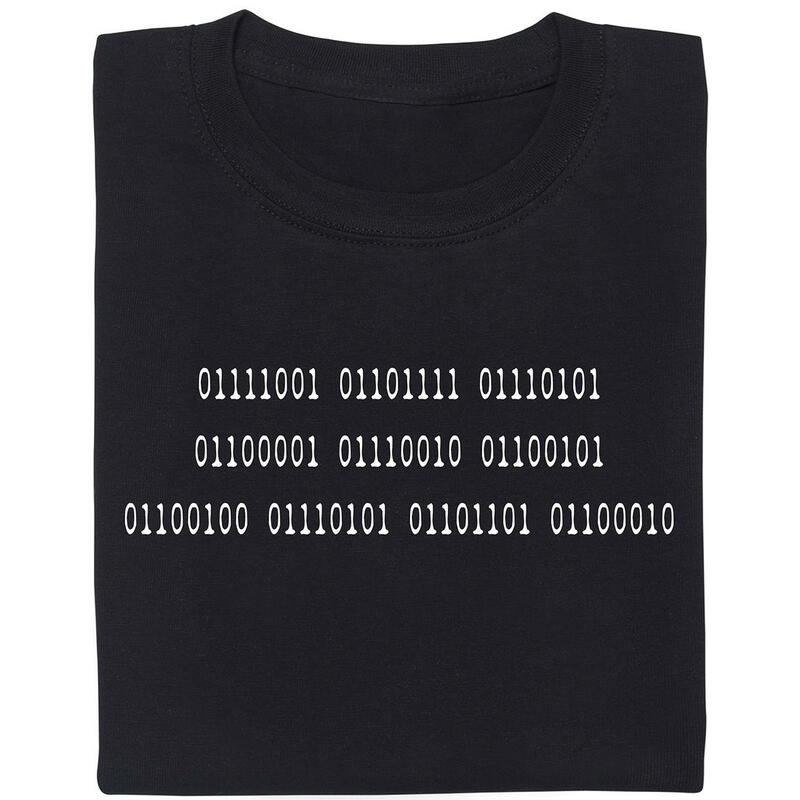 This variant is available in the following keyboard layouts: DE, DVORAK, FR, IT, Scandinavian, RUS, ES, UK, US . Please note: The key caps are only compatible with Gamma Zulu Switches by Das Keyboard, not Cherry Switches. Das Keyboard 5Q ¡Teclado mecánico con teclas individualmente programables e iluminables! Das Keyboard X50Q Work, gaming and freely programmable keys with RGB lighting - this mechanical keyboard can do everything! 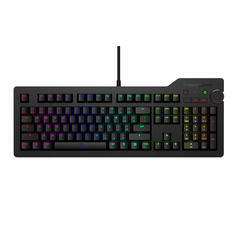 199,00 € lade... Teclado mecanico Das Keyboard 4Q Professional El reputado Das Keyboard 4 evoluciona para volverse inteligente e incorporar RGB. ¡Te presentamos el Das Keyboard 4Q!